Dirt Nasty performs NYE in Hollywood! 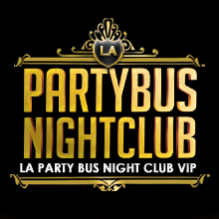 Join L.A.’s chic celebrants at the Emerson Theatre NYE 2015 New Years Event on 31st December 2014, featuring special live performance by DIRT NASTY! This New Years Eve, descend into old-Hollywood glamour with cutting-edge L.A. nightlife at the NYE Emerson Theatre 2015 extravaganza. The swanky nightclub will kindled the night with a 5 hour premium open bar. Bask in the Emerson Theatre NYE 2015 intoxicating atmosphere and mingle with L.A.’s beautiful revelers as festive NYE party favors add a glow of holiday spirit. The Emerson Theater state-of-the-art visuals and sound system will be taken over by multiple mix master live deejays, as they seduce the crowd to the spectacular dance floor with red-hot hits of Top 40, House, Hip Hop, Mash ups and more! At midnight, this wild NYE bash reaches a climax with an exhilarating live count down, made complete by a complimentary champagne toast.